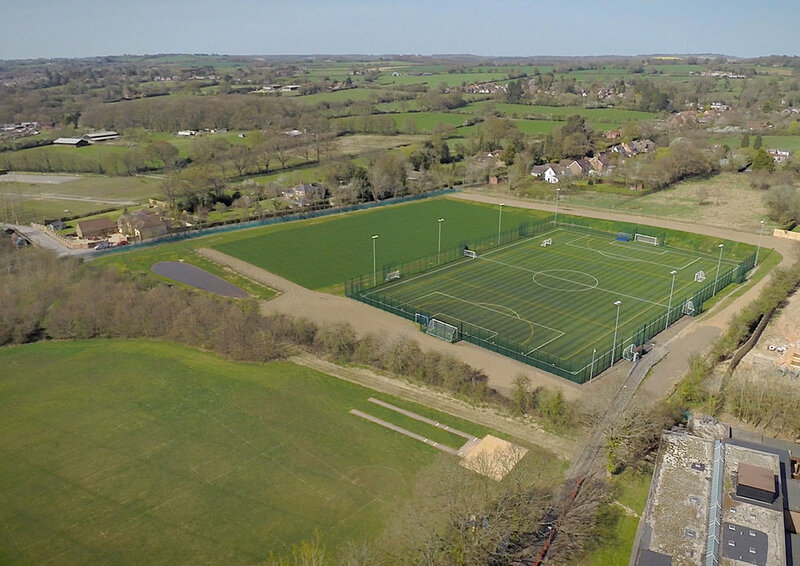 A 3G football and natural turf rugby pitch was designed and developed at Swanmore Secondary School as part of a 1.8ha land swap between HCC and national house builder. 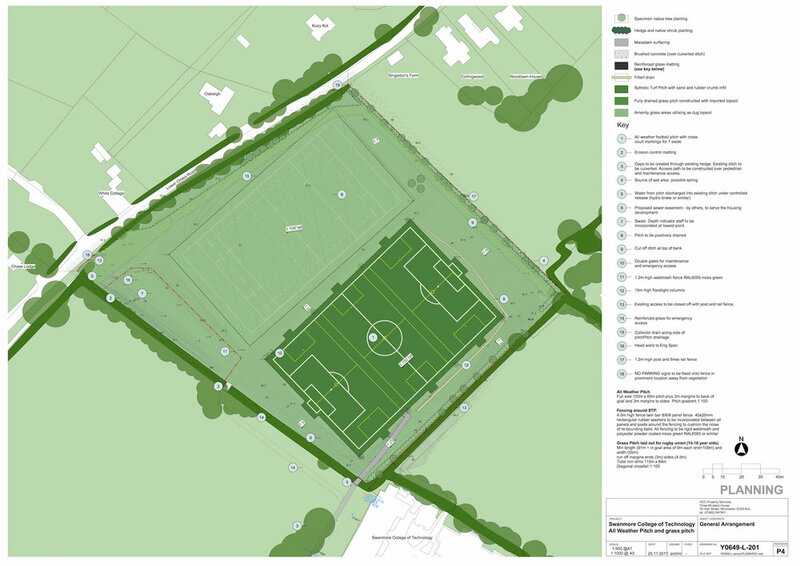 The sports pitches were built and established in advance of the land swap to ensure the school had quality facilities before their existing pitches were developed for housing. The site had a change in level of approximately 10m across the site and overlaid London clay. It was overlooked by residents and located within a Strategic Gap. A ground model was produced and levels designed to ensure there was a cut and fill balance achieved across the site. This model was also used to inform the local planning authority of the likely visual impact upon local residents and helped influence the landscape and mitigation strategy. A new electrical supply was required to feed the floodlights which needed to be carefully threaded through the heart of the school, navigating numerous underground services including fibre optic cables, storm and foul water drains, gas and electrical services. To enable the housing to be built a storm water drain was constructed as part of the work and later adopted by Southern Water. The natural turf rugby pitch was laid out with primary and secondary land drainage and a storm water attenuation swale, tree and shrub planting included as part of the landscape design. The overall project including the 3G pitch was completed three months ahead of schedule and under budget by S&C Slatter. (Aerial photo courtesy of S&C Slatter.